PROMOTE ACCESS. PROTECT NATURE. CLIMB LOCAL. 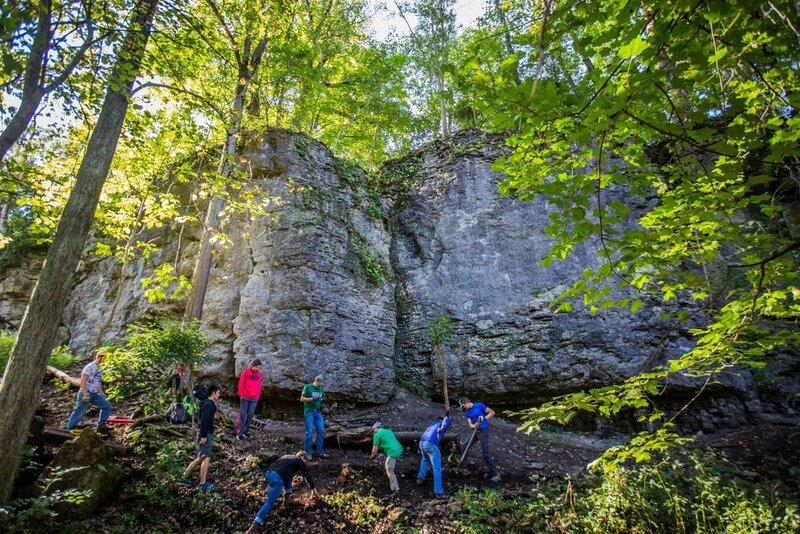 To promote and protect Ohio's climbing for generations to come. To stay up to date on the latest Ohio Climbers Coalition news and activities, visit our blog. We welcome you to jump into the discussion about climbing in Ohio in the comment section, on Facebook or on Twitter! Hey you! Do you live in Ohio? Great! Love climbing? Even better! Want to get involved? Perfect! The Ohio Climber's Coalition is for climbers, by climbers so we need you to thrive. Become a member or join us for an event! !